Its not often I get to start a post with a Black Adder quote! 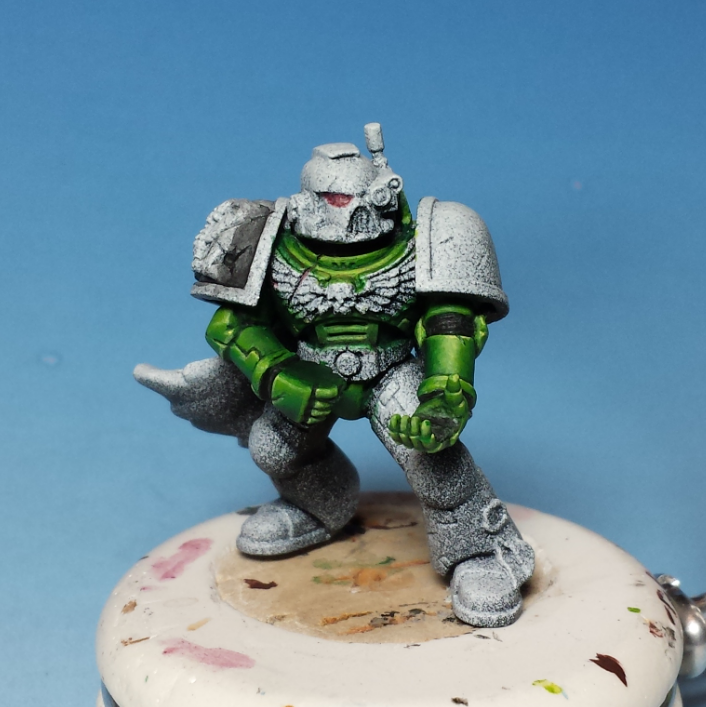 really enjoying painting the green – it seems to be really forgiving with fairly heavy shading and highlights. Just got to keep on plodding along with it – bit more green tonight and soon I’ll be working on the black. Before I go much further though, I will probably need to paint the dragonskin cloak as I am wanting to get some texture in there so may end up stippling and don’t want to get that all over nicely painted armour!